Outdoor play and Pinterest – two of my favourite things! 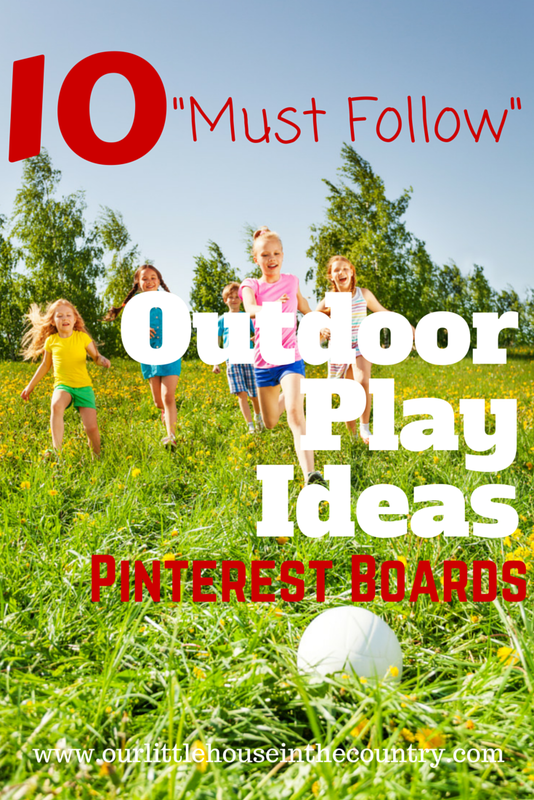 Today I am sharing 10 of my favourite Pinterest boards full of outdoor play ideas. The benefits of outdoor play are endless from better sleep to exercise, from exploring the world around us to developing gross motor skills to name only a few! Check out and follow these boards from very creative and inspiring bloggers for lots and lots of amazing outdoor fun! For ways to to get your kids outdoors and enjoying nature 365 days a year then take a look at Steph’s from Modern Parents Messy Kids fantastic Outdoor Play board! Happy Holligans’ Outdoor Play board has everything from backyard play ideas to treasure hunts, from gross-motor activities to outdoor games. “Loads of activities to foster a love for physical activity and the great outdoors in kids”. While your at it, I would highly recommend that you follow all of Happy Hooligans’ boards for endless creative activities for kids! If it’s creative ways to build forts, camping tips & tricks, nature crafts and backyard play ideas that you are looking for then Tammy @ Housing a Forest‘s board is the board for you! One of my favourite boards is Outdoor Play and Learning from Anna @ The Imagination Tree. Here you will find ideas for play spaces, waterplay, mud kitchens – everything you need for good old fashioned outdoor imaginative play. Another fantastic board with inspiring ideas for keeping little ones busy outdoors is Penny @ Mother Natured‘s Outdoor Play Ideas board. There is no shortage of fantastic, fun ideas on B-Inspired Mama‘s Outdoor Play Ideas for Kids board. 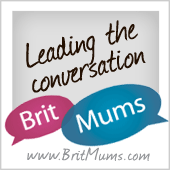 I would also highly recommend following all of her boards, in fact every pinner/blogger I have mentioned today is worth following and exploring their amazing boards. As Sheryl from Teaching 2 and 3 Year Olds would say “Get them outside!” and she has tonnes of great ideas to keep them busy on her board Outdoors! Recently we guest posted on a brilliant blog – Building Blocks and Acorns and in return Louise guest posted here too – Keeping Toddlers busy in the Garden! Building Blocks and Acorns primarily focuses on activities for kids inspired by nature and you will find lots of ideas on her board Outdoor Play Ideas! As a lover of outdoor play I have a number of boards myself on the topic! For lots and lots of summer fun take a look at Outdoor Fun and Play. To involve children in gardening then Gardening with Kids is worth a look and finally for all things outdoors and messy the Outdoor Fun and Messy Play is a group board with lots of fun ideas! Hope you find these boards as inspiring as I do and as a result hope your kiddies have lots and lots of outdoor fun!